YSC HDAF100 (12x-132x) Full HD 1080p HDMI Output Auto-Focus Digital Microscope including integrated LED lighting and Articulating Arm Stand. Single or Continouse Auto Focus feature and all camera functions can be controlled by the remoted control included. (Optional 1x-11x if using stand with taller working distance. Optional 207x-467x with multiplier lens). HD 1080p Monitor NOT included. HDAF100 is the ultimate HD 1080p Auto Focus digital microscope with Auto Focus feature and 1080p (60 fps) HDMI output offering wide magnification range. The system offers standard magnification range from 12x to 132x depending on adjusted working distance from 226mm to 22.5mm. 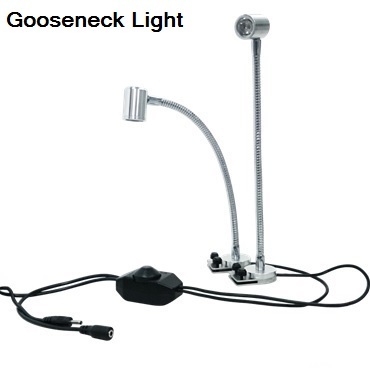 With optional taller stand offering longer working distance, magnification range can be decreased from 1x to 11x. With optional multiplier lens, magnification range can be increased from 207x to 467x depending on adjusted working distance from 10mm to 6.2mm. 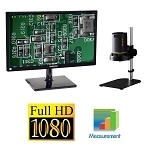 The HD High Definition microscope has 1080p HDMI output, which can be connected with any HD 1080p monitor with HDMI input for real time viewing, inspection, training, discussion and presentation. HD images (1920x1080) and full motion video (1080p) can be recorded with optional recording device. Optional video measurement software is available. The auto focus feature can be set to single or continuous mode depending on customer’s application. The system has integrated LED Ring light with adjustable intensity for proper illumination to optimize image quality. 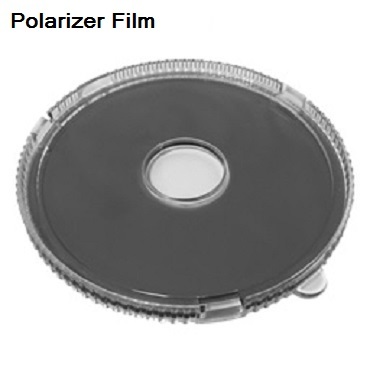 Polarizer option is also available. 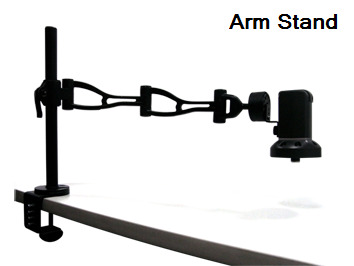 The HD microscope can be configured with many stand options. Optional 3 inch horizontal arm can be added to the basic stand for extended 6.75 inch throat depth for viewing smaller to larger samples. Other stands like universal stand, dual gliding arm stand and articulating arm stand are available for custom applications. WD (mm) WD (inch) HFOV (mm) HFOV (inch) Video Mag. Working distance can be from 0.9 inch to 8.9 inch. Data are provided at different intervals. For 10 to 18 inch Working Distance, optional tall stand is required. Working distance can be from 0.24 inch to 0.39 inch. Data are provided at different intervals.